New Areas at The Mid-State Fair! Home › Latest News › New Areas at The Mid-State Fair! 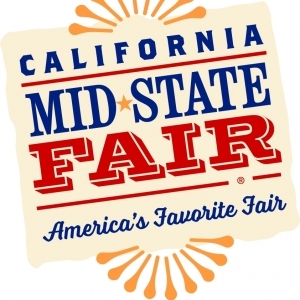 PASO ROBLES (CA) – When fair-goers hit the 2017 California Mid-State Fair they’re going to be in for multiple pleasant surprises. Four new areas will make their initial debut, with activities, demonstrations, special events and, of course, lots to eat and drink! The Fun Zone located on the north end of the fairgrounds features Headliner Stage with free live entertainment including dance troupes and Zoo To You animal show plus the Albertsons Talent Show on Wednesday, July 19 and the first-ever California Mid-State Fair Strongest Man & Woman Competition on Sunday, July 30. The Fun Zone also offers Jimmy’s Watering Hole, the nightly KJUG Barn Dance and amusements including mechanical bull riding, rock wall climbing, walk on water and the Sling Shot ride (additional fees required for amusements). Located on Midway Lane across from Estrella Hall, the Fair has corralled all things tasty in the new Midway Food Court. The Fair has incorporated much needed shade in this venue. Fairgoers can enjoy funnel cakes, bloomin’ onions, Jamba Juice, lobster dogs, garlicky pizza, sandwiches and regional cuisines including Mexican, Southern, Asian and Hawaiian. Completed in July, this new, permanent structure offers 100,000-square-feet of flexible, covered event space. During the Fair, it will house various livestock exhibits and events featuring 4-H and FFA youth. Funding for the Pavilion was provided by the California Mid-State Fair Heritage Foundation. All things fun for the whole family can be found in the new Rancho Frontier located inside the South Gate area of Frontier Town. This area features the new Cub Country with carnival rides for the littlest thrill seekers, free daily races at the Wild West Turkey Stampede, the adorable animals of the Great American Petting Zoo, free hands-on, farm-based activities in the new Farm Fresh Kids exhibit, the hilarity of the Something Ridiculous jugglers, live contests, Cow Parade SLO County display, pony rides, cow milking, butter making, strawberry tastings, food, shopping and a chance for children to have a photo taken with a baby chick. Plus, shade and seating are available for grandma and grandpa to sit and watch the kids enjoy the Fair.